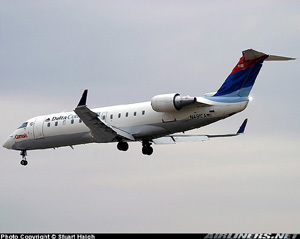 On August 27, 2006, at approximately 6:06 AM local time, Comair Flight 5191, a Bombardier CL-600-2B19, crashed during takeoff from Lexington's Blue Grass Airport (LEX), Lexington, Kentucky. All 47 passengers and two of the three crew members were killed. The first officer survived, though seriously injured. Lexington's Blue Grass Airport has two runways. One was identified as runway 8/26, designated for "daytime VFR use only," and intended primarily for general aviation operations. The other runway, identified as 4/22, was intended for commercial airline operations. At the time of the accident, runway 8/26 was 3,501 feet long, while runway 4/22 was 7,003 feet long. Despite being directed by FAA air traffic control to taxi and takeoff from runway 22, the crew of Flight 5191 incorrectly taxied to runway 26 and attempted to takeoff from the shorter runway. Night visual meteorological condition (VMC) prevailed at the time of the accident. Investigators determined that, without sufficient runway length to attain the target rotation speed of 142 kts, Flight 5191 was unable to takeoff. The airplane struck a perimeter fence, trees and terrain at the end of runway 26 where it was destroyed by impact forces and fire.